When do you get too old for something? When should you stop indulging in seemingly pointless media? Is any media really pointless? These are questions that I often ask myself as I prepare for the panel discussion on Pokemon, to be held at the Hammer Museum on Saturday the 26th at 1:00pm. Pokemon was created by Japanese game designer Satoshi Tajiri and released onto the Gameboy in 1996. In the world of Pokemon, young children set out on a journey to catch and harness the power of a vast array of super powered animals and then train these monsters for friendly battles with other "trainers" like themselves. Players can also trade and battle Pokemon with other players in real life through various modes of system connectivity. Satoshi Tajiri was an avid hiker and bug collector as a child, and many of the places he spent time in as a kid were developed as he grew up. Pokemon was Tajiri's attempt to recapture that spirit of adventure he had as a child which he felt no longer existed in this modern world. With this knowledge, Pokemon can seem like a fairly bittersweet affair. But many gamers would probably agree that Satoshi Tajiri did indeed manage to bottle up no small amount of wondrous adventure into those tiny gameboy cartridges. After it's video game release, Pokemon went on to infect literally every form of media. Trading cards, TV, movies, comics, and everything in between. "Pokemon is super interesting-and straight up I am so excited for X/Y (I can even play as a trainer of color!!!)). There's no denying that Pokemon originated as--and is often reduced to--pure consumerism: an endless cycle of new, novel, and merchandisable material! But... It can be (and often is) so much more. It's best not to forget that Pokemon is at its base a game about animals being forced to viciously fight each other. This can be off putting, but in some ways it's simply truthful. The continents of Pokemon all add up to a world like ours. A world of anthropocentrism, outrageous human exploitation of natural resources. One driven by an engine of competition for competition's sake. This honesty is Pokemon's greatest strength. Pokemon could've been a game where there are "good" and "bad" creatures. Where players collected heroic "pokemon" and then fought evil creatures with them. Instead, everything is on the same plane--they're all just animals in a world. Instead, some Pokemon are used for gross misdeeds, others are mistreated by terrible trainers, and some enter into rewarding partnerships. Pokemon could've been a simple fairy tale, but instead its an analogue for our world, with many of its problems. By foregrounding these problems, Pokemon elevates itself from diversionary status. By recognizing that our world is built on the mistreatment of some, by the elevation of some over others, and often on recurring violence, Pokemon is able to say "Yeah, things are bad in major ways, how do we do our best given that?" There's something really utopian about that." For me, one of the most exciting things about Pokemon is the community and identity building possibilities it creates for it's players. 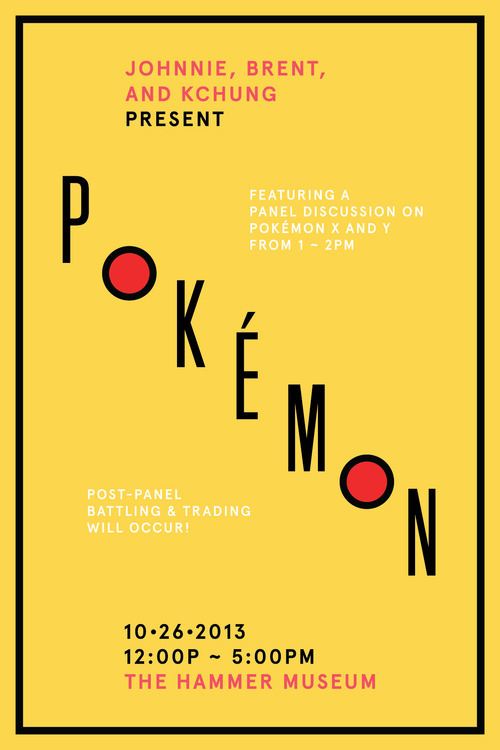 It's position in pop culture, it's nearly endless catalogue of characters, and of course the trading and battling turn the experience of Pokemon into an incredibly social one. 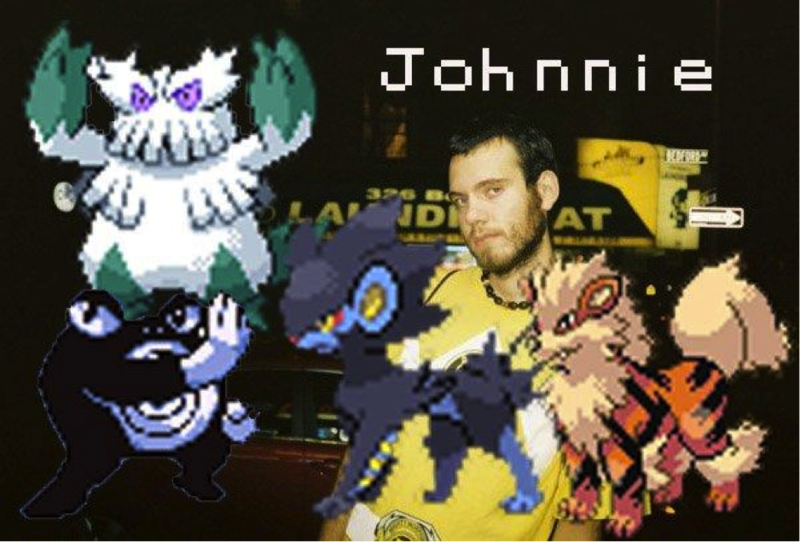 I myself have formed several Pokemon leagues with pretty excting results- most exceptionally the Calarts Art School Pokemon league I formed while in college.